DESCRIPTION The YETI Hopper BackFlip 24 fuses the durability of the Hopper Flip with a new, convenient-to-carry design. 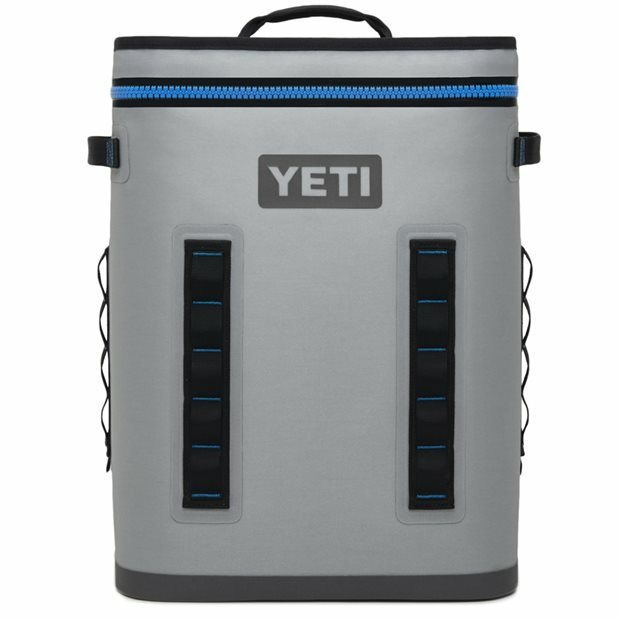 This is YETI’s first cooler engineered to carry as a backpack. It is built taller and wider than its Hopper Flip counterparts, so the weight of your goods can be efficiently distributed. It features ergonomic shoulder straps for a comfortable journey. For added stability and security, a removable chest strap and waist belt is also included. Like the rest of the Hopper family, the BackFlip 24 promises superior cold-holding, a 100% leakproof zipper, and a tough Dryhide exterior that is resistant to water, mildew, punctures and UV rays.